Do you need lock and key related emergency services? When security seems to hang by a thread, our company will be there for you! There is a reason why “Locksmith Hyde Park” makes sure all company vans are equipped with the most sophisticated machinery in the market and has mobile professionals on board. 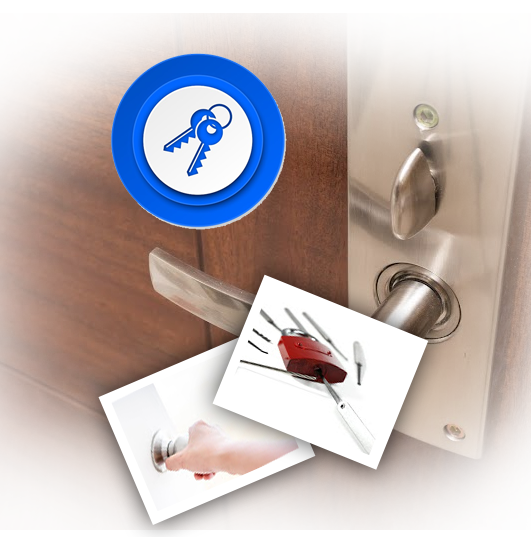 When keys and locks keep you from locking or unlocking the door, our assistance will make a difference to your life. What's critical in such circumstances is the time of response and that's why our company makes such good preparations. When you turn to our company, you can be sure that your urgent key and lock repair needs will be soon covered. As mobile experts, our response is immediate. We are a large team and able to help all customers in need within minutes. What's also good about our technicians is that they all have the expected knowledge as well-trained professionals and, thus, ability to replace the broken transponder chip key or reprogram it. As far as our expertise is concerned, you can be sure that our specialists are familiar with all types of cars and their anti-theft systems, high tech commercial locks and most types of domestic locks. Apart from being a significant tool for us during services, our experience also helps us understand the stressful situations people are in when the door doesn't open or the keys are stolen. Our company might have the means and staff to provide fast response emergency services, but customers should also know that they will be working with professionals who are really interested in helping them in the best possible way. We have seen many cases over the years and the memories of people in distress keep coming back to us urging us to train harder and make the best to help everyone as soon as possible. Our technicians won't let anyone locked out of the car for long. Our immediate arrival doesn't just solve problems instantly, but also fill people with confidence. Our technicians will be there every time your door refuses to open, the trunk is stuck or the key is stolen. We unlock steering wheels, open trunks, make new keys, take care of ignition problems, activate chip keys, change office and home vandalized locks, and offer rekeying services. Our company promises to help out after break-ins, fix the locks of emergency exits, reprogram the car's security system and prevent the worse. Whenever you need reliable, devoted and well-trained emergency locksmiths, turn to us. Just give us a call and someone will be there in minutes!